New Orleans has many famous dishes, and that includes poor boys. Poor boys, or po’ boys as they’re also known, are sliced loaves of French bread stuffed with mounds of shrimp, or oysters, or roast beef with a thick gravy known as “debris,” or ham and swiss, or many other ingredients. 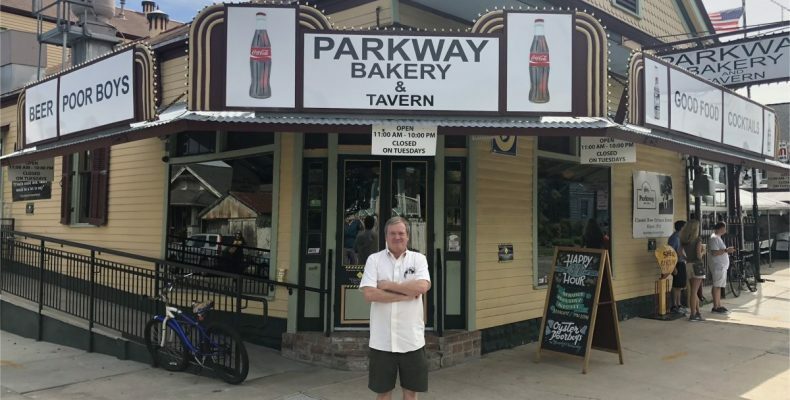 Jay Nix, owner of the landmark Parkway Bakery & Tavern, told me about how his restaurant has been serving up poor boys in many styles since first opening in 1911. But Jay’s family wasn’t originally involved in Parkway, which shuttered in 1993. Jay bought the building in 1995 but then did nothing with it, instead using the building to store the tools he used for his real estate and home repair business. Yet locals kept prodding him to know when he was going to reopen the nostalgic spot, and in 2005 he switched careers and became a restaurateur. Click on the picture of Jay and me above, or on this link, to read about my lunch with him. 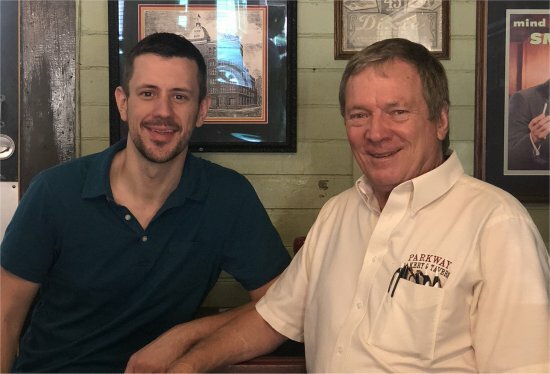 He talks about the highs and lows of starting out in the food industry with no prior experience, how he got through Hurricane Katrina, and his current expansion plans. And he offers a defense for his recent decision to use the formal name “poor boy” instead of “po’ boy,” still a bone of contention in New Orleans.